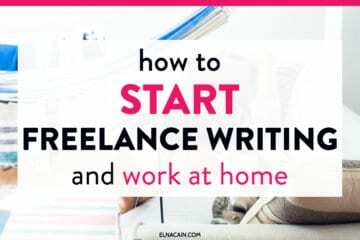 You want to be a freelance writer. You’ve done your research and you know this is the creative outlet you need and help you quit your 9-5 job for good! But, now, you have no clue what to do to get started. Do you start a blog? With anything new, there will be different ways to get to the same end goal. For me, I had absolutely no experience writing for businesses or being online. Sure, I went to Facebook or Pinterest, but I did that for personal reasons, not to market something. 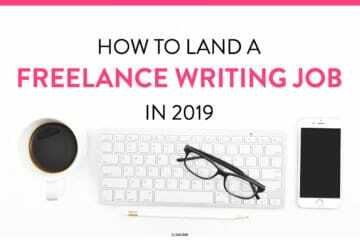 I didn’t know what to do or how to do it once I realized I wanted to freelance write. I made mistakes in the beginning too and had to learn the hard way what tools I needed to start freelance writing. But, I’m here telling you what you do need first. 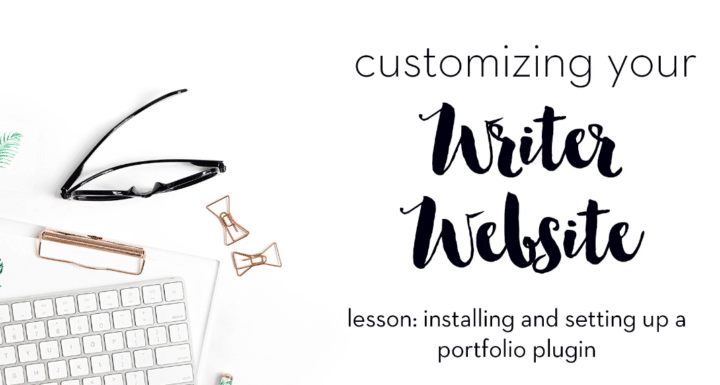 You need a writing portfolio. This is a sample of your writing in the niche you want to get paid for. Oh, dear. Did I open up a can of worms when I talked about a niche???? Technically you need to have a niche to write samples, but it’s not required. A prospect typically won’t hire you unless they have read your writing in the niche they require. You can click the image below to view it better. A recent inquiry let me know that they read my samples on my site. My samples told them that they liked my style and wanted to hire me this year. Having a solid writing portfolio filled with your best writing can really make or break you as a writer trying to make this a business. So, let’s dive into all of this and see what the best way is to build your portfolio. There are many ways you can display your freelance writer portfolio. It’s typically a page on your writer website. While you can just add links to your Portfolio page, it’s much more attracting if you use a plugin. To me, this is the most professional way to display your portfolio to potential clients. 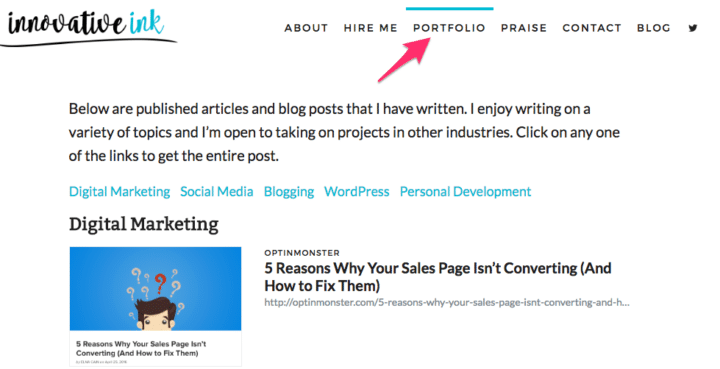 So, do you only put blog posts in your writing portfolio? No. You put the type of content you want to get paid for. This might mean sample emails, mock-ups of white papers, site content for an About page or a blog post. I typically write blog content, so my portfolio is made up of blog content. I also think this is the easiest type of content to create and to market for your business. You can land regular work as a freelance blog writer. But, should you just draft up samples in Google doc or is there a better way to build your portfolio? Yes!! The best way to create a sample for your freelance portfolio is to guest post. This means your post is published on someone else’s blog. It can be paid contributions, but more often than not, it’s a free opportunity for you to market your business in front of a brand new targeted audience. Guest posting also gives you the ‘street cred’ as a professional freelance writer. My first three samples were not really in my niche, nor were they at all related to each other. The first was for A Nation of Moms. 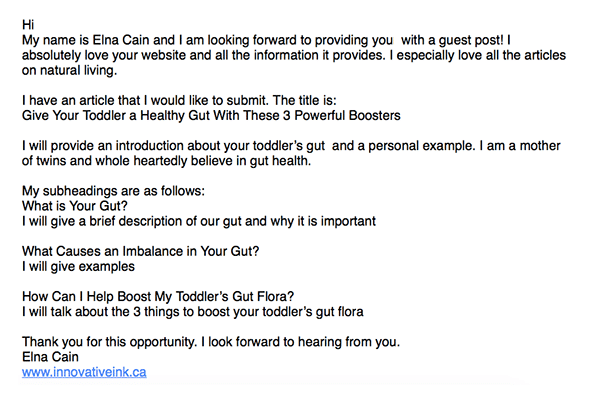 I wrote about gut health for toddlers. I thought natural health would be a good niche to get into. My second was for Social Media Today. 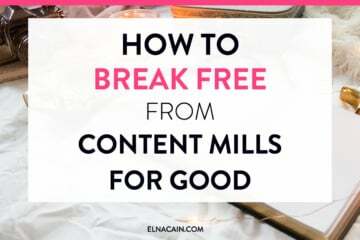 This post is in my portfolio currently because it has helped me break into the digital marketing niche – the niche I currently write in. Finally, the third sample was for Psych Central on how to improve your mood. I was ecstatic for this sample as it was on a very prestigious platform, even though I wasn’t sure I wanted to write about mental health. As you can see, not defining a niche didn’t stop me from writing about things I knew – natural health, mental health and social media (the last one I was learning at the time and wanted to write about it). So, how do you guest post? 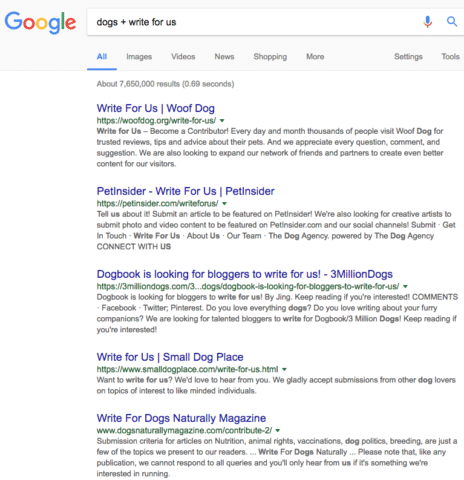 The easiest is to run a Google search on the niche you want to write for + “write for us.” Here is an example of dog blogs! You can search for literally anything + write for us to get guest blog opportunities. Every place you guest blog will have a different set of guidelines to submit your post. Some may want a Google doc while others want you to send an attachment via email. There may be strict rules on what types of links to include, who you can mention in your post and how to write your post and the length of the post. Here are Brazen’s guest guidelines. Now comes the fun part – crafting your pitch based on the guidelines you just read! Again, different blogs want different things. Some want 3-5 topic suggestions while others want an outline of one post idea. Figure out what they want and come up with a great topic or list of topics. I suggest you research how to craft a pitch for guest blogging. It’s important that your pitch comes off personal and sounds like you know the blogger’s content. Simply using a template for your guest pitch, won’t work in landing any guest posts. This information can help you stand out in your pitch. The blog owner will know you did your research. When you get accepted, it’s time to write the guest post. One thing to note – don’t pitch the SAME topic and outline to multiple guest blogs. If you pitch the steps to eat paleo to five health blogs and two of them accept your pitch, you can’t write that post. And you can’t swap another idea either. One of the best reasons you want to build your writer portfolio using guest posts is you get an author bio. Your author bio is the place to market your freelance writing business! A good bio has these components: what you are offering, what type of content you provide, how to reach you and some kind of way to tell your personality. After you submit your post (via the way the blogger indicated in the guest post guidelines) it’s time to wait. You will probably get a response from the blog owner saying that they received it and give you a timeline of when your post will be published. Other blogs may want you to edit and revise your content before they publish your post. Once all of that is handled, you wait until your post is published. During this time you can pitch for more guest spots, work on your writer website and start pitching to job boards. As a new freelance writer, you gotta hustle every day. Figure out the tasks you need to do to get your business up and running! It’s your turn – have you started your freelance writing portfolio? Let me know in the comments! 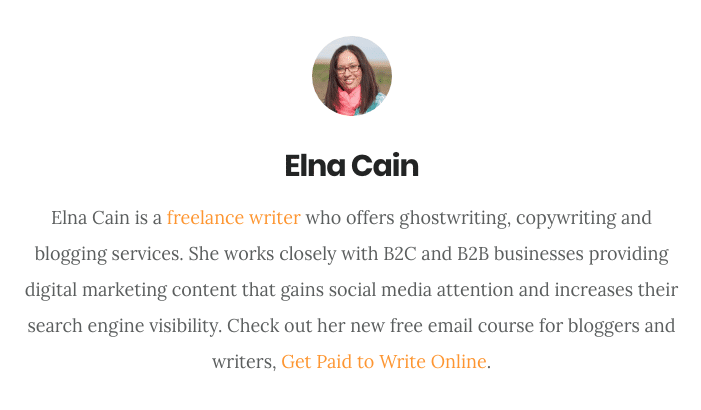 Hi Elna, Thank you very much for sharing tips you have learned about writing and finding new clients. I can’t believe I never used this exact method to find work. Sure I Googled different combinations, but this is perfect. Now to put your tips into practice. You’re welcome! Glad you found some good tips to create your portfolio as a freelancer! Elna these tips are WONDERFUL. I spent a small fee a while back on a different online accredited course ‘How to Submit for Magazine Articles’ but the outcome was no where near what your tips suggest here. Fingers crossed your helpful insights here further me to freelance writing success! 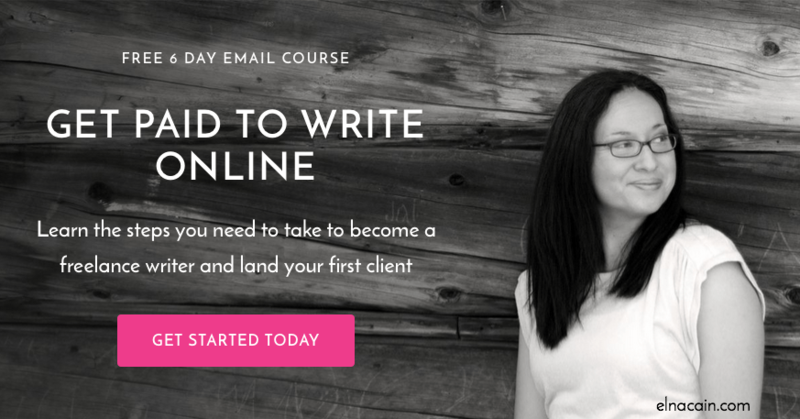 I recently completed the Writer Website in a Weekend course. A very BIG thank you to you Elna for the awesome content and the easy to follow actionable points. Would highly recommend this course to anyone who needs clarity on how to go about creating some online presence, especially if you have no real tech background. That’s great! Thanks so much for coming over! That’s fantastic to hear! You’ve accomplished the first step, which is usually the hardest for 95% of those wanting to freelance write! Good luck on finding potential jobs and pitching! Thank you Elna for this post. I need to work on my pitching techniques after reading yours. I have a few clips under my belt, but they did not require any pitching only submissions. This post came at the right time because I am trying to do more guest blogging. I’m happy to hear that! Building your portfolio doesn’t have to be hard! Good luck on landing a gig! As usual, this blog post is a gem! Thank you so much, Elna! I’m working on getting steady contributorship along with one-time opportunities for guest posts in my niche. I am so glad I decided to focus on this – this post came at the right time! Thank you so much. That’s great. 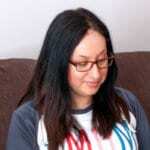 I did some contributorship for several blogs and loved it!